Virtual surround sound has come a long way, which is great news for those of us without the space for speakers everywhere. With Sony's new HT-Z9F sound bar, you can even experience the overhead effects of Atmos and DTS:X via their new Vertical Surround Engine. 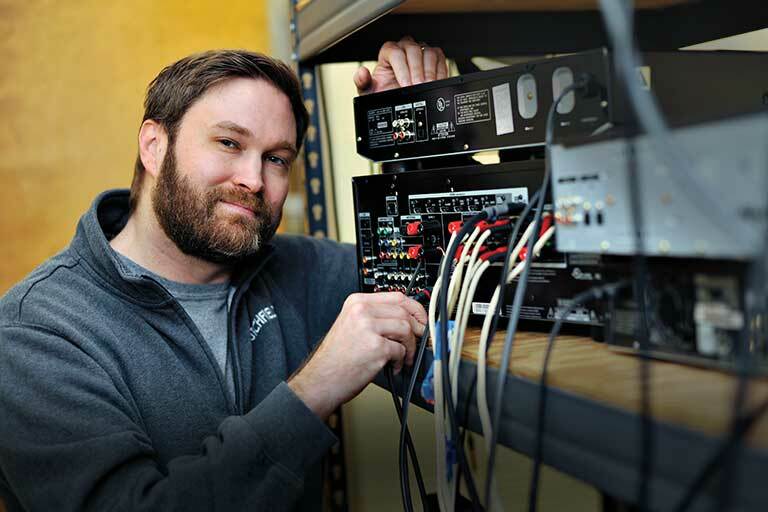 But what if you want the sound from your HT-Z9F to be even more enveloping? 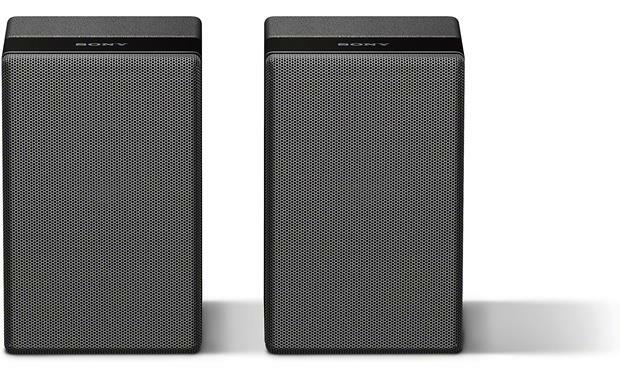 Enter Sony's SA-Z9R, a pair of dedicated rear speakers that connect wirelessly to the HT-Z9F sound bar. And good news — they are small and sleek and, dare I say it, kind of adorable. I'd happily place them on a table or shelf behind the couch, but they also have keyhole slots for wall-mounting if you want them to be even more discreet. 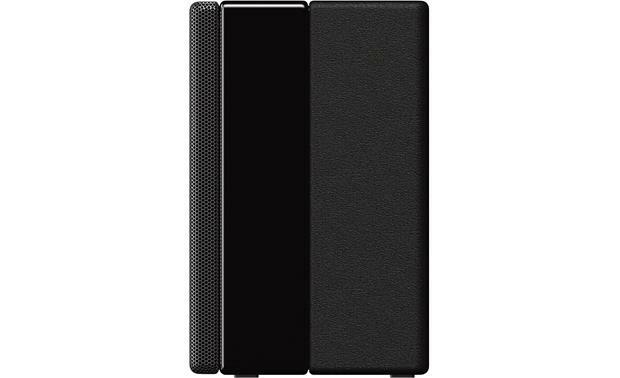 can these speakers be added to my Samsung sound bar model no. hw-m55c? According to Sony, the speakers work only with the Sony HT-Z9F sound bar. 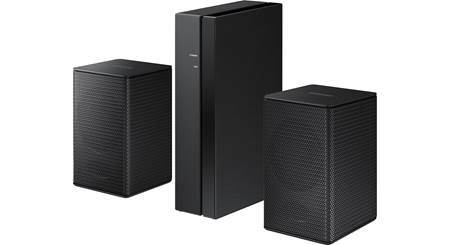 Compatibility: The Sony SA-Z9R wireless powered rear speakers are specifically designed for use with Sony's HT-Z9F soundbar system (sold separately). 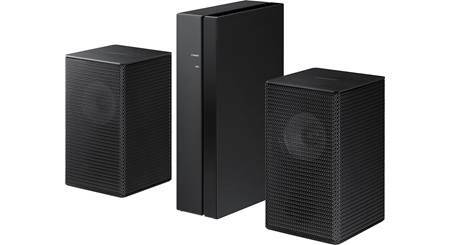 Wireless Connectivity: The Sony SA-Z9R wirelessly connects to the Sony HT-Z9F soundbar, so the soundbar can send rear channel audio wirelessly to the SA-Z9R speakers. The wireless powered rear speakers are labeled "Left" and "Right" for setup. 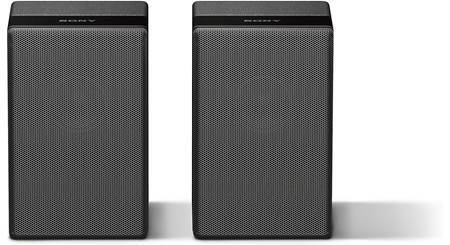 Speaker & Amp Section: Each wireless powered rear speaker houses a full-range 1.8125" driver powered by a built-in 20W (RMS)/50W (Peak) amplifier. 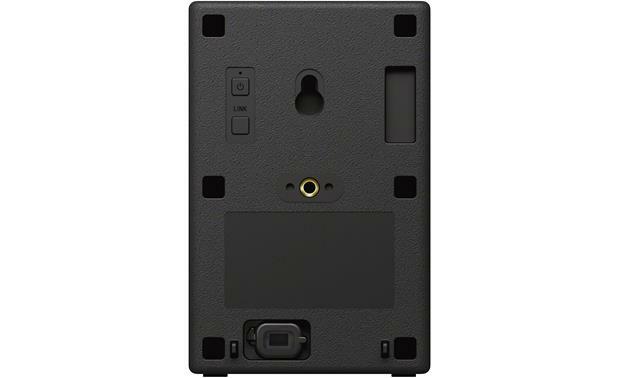 Mounting Options: Each wireless powered rear speaker features a keyhole slot to mount the speakers flat against a wall (screws sold separately). Each speaker also features a M5 threaded insert for using with optional articulating wall-mount brackets (sold separately - see Accessories Tab). You can also simply mount the wireless powered rear speakers on stands (sold separately - see Accessories Tab) or shelves. Power Requirements: Each wireless powered rear speaker features an attached 6' AC power cord which will need to be plugged into a AC wall outlet or surge protector (sold separately - see Accessories Tab). I'm looking for the right speaker stands to place these speakers on due to their smaller size. Does anyone have any recommendations on what would be a good fit to purchase? Don't know but Sony says they can only be used with the Sony bar. I purchased these and add it to my Sony sound bar and they work very well. I am uncertain if they would work with a samsung bar. 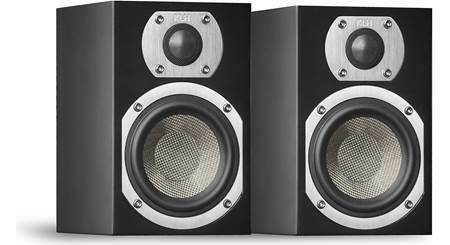 will these work as rear surround speakers for the HT-CT790 sound bar? I have no idea but Crutchfield or Sony would have the answer. They are built for the HT-Z9F Sony sound bar. 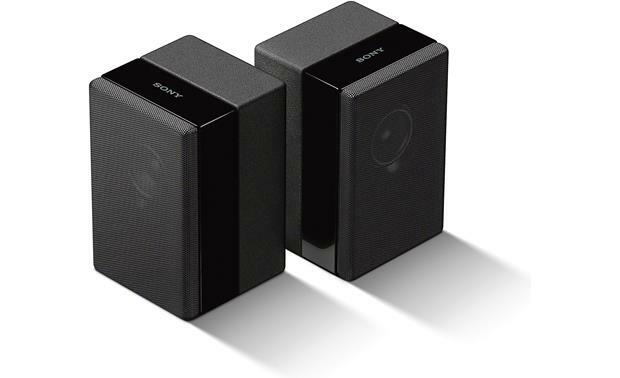 Searches related to the Sony SA-Z9R Wireless rear speakers for use with Sony HT-Z9F.